Why pay more for a lease on a new copier when you can save up to 60% on a reliable off lease copier that comes with a better warranty than new copiers offer? Plus our solutions are more environmentally friendly! 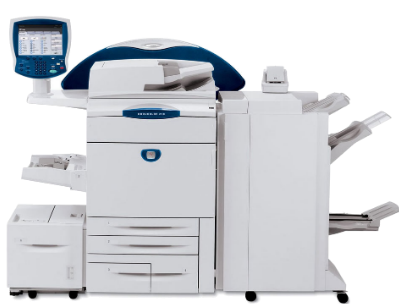 Copiers and document scanners are a mature technology and that is good news for you. Good news because it means you can get a very dependable, high end machine for less. Don’t let the price or the age fool you. These machines come with many advanced features and last a long time. Today’s technology has evolved to a point in which the equipment is very reliable. We stand behind our machines. Compare the warranty on a new machine to one that we provide. Our 1 year or 50, 000 copy guarantee is the strongest warranty we know of. The reason why many of these products can provide over 10 years of useful life is that over the years we have developed efficient cost cutting and reliable processes that bring real value to our customers. Our vision statement is “delivering the most eco-friendly and cost-effective solutions for your office equipment needs”. We work hard every day to live up to this and are constantly looking for ways to further improve. We are proud to say that our products are among the most eco-friendly solution available. There are many reasons for this, such as: the inherent nature of our re-purposed machines, our refurbishing processes and our ability to integrate our products into efficient document management systems, are all contributing factors. Ask us about our processes and you will discover why we surpass even competitors who tout their “green marketing” campaigns.